Family will greet friends one hour prior to the service. 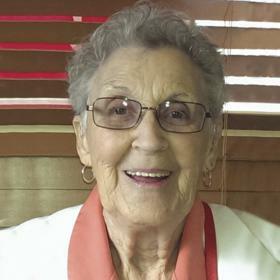 Dolores Elzier Fritz, 90, passed away peacefully Wednesday, December 20, 2017 at Munson Medical Center in Traverse City, Michigan. She was born March 5, 1927 in Detroit to Daniel and Rena (Thatcher) Malbouef the eldest of four children. 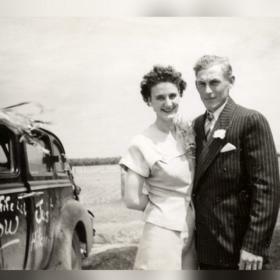 On June 25, 1946 she married Frederick E. Fritz, in Fife Lake, Michigan. She was involved in many activities and organizations, including a 4-H Leader for both cooking and sewing, the National Reamer Association and instructor in the Zephyrhills Art Club. Dolores loved to work with her hands, sewing, painting, cooking. Dolores was an avid reader and she loved to write. She also enjoyed traveling within the States, Canada, and Germany. She was a loving wife, mother, grandmother and great grandmother who worked hard and took great pleasure in raising her family of seven children alongside her loving husband. She instilled strong work ethics, love and laughter in all her children and grandchildren. Once the children were all in school she joined the workforce as a lunch lady at Traverse City Public Schools. She was preceded in death by her parents, her husband Fred, daughter, Katherine J. Reicha; grandson, Oliver A. Hobson, great-granddaughter, Natalie A. Reicha; and in-laws, Kenneth Bever, Walter and Matilda Ely, Edward Fritz, Garth and Rita Gauld, Russ Hanselman, Fred Hendges, Don Kimbler and Floyd Newmarch. A funeral service will be held Wednesday, December 27, 2017 at 11 a.m., at Immaculate Conception Church, Traverse City, MI with visitation at 10 a.m. A luncheon and celebration of life will follow. Memorials may be directed to the Father Fred Foundation or The Writers Series of Traverse City Michigan.